This level have normal difficulty and you need to use good strategy to complete this level. 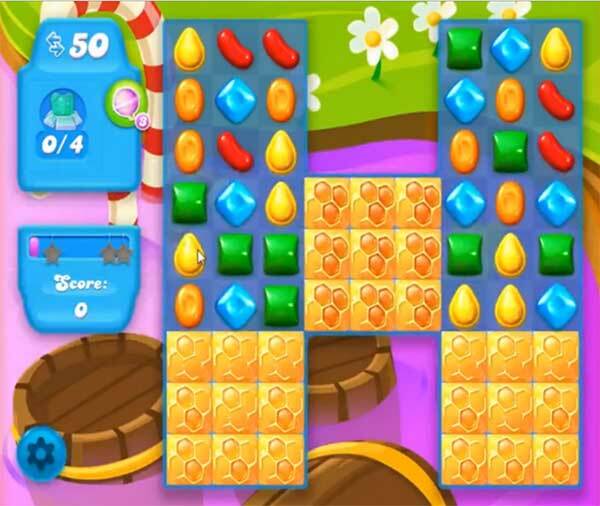 For this level you should to play near to honey to eat them or make special candy like colorbomb as you get the chance. After try to combine striped candy or other special candy to each other to break more honey to save the bear. Play near to snow from where you find and bear body part to find them without wasting the moves.